Apple finally refreshed its AirPods with an updated model last week, but the older AirPods are still pretty awesome despite the fact they are missing the wireless “Hey Siri” feature of their newer cousins. If you want to save a few dollars, the first generation AirPods are a great deal, and right now you can pick them up for just $147. Normally, AirPods sell for around $159 if you don’t want to opt for the new Wireless Charging Case. If you do, that price skyrockets to $199. If you just want a great pair of wireless earphones, then the AirPods are the way to go, and you can save a few dollars in the process. 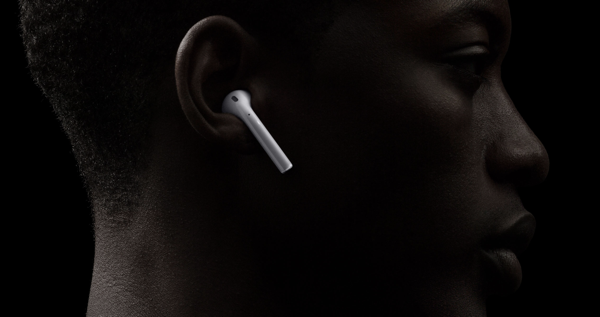 Despite being the previous generation, these AirPods still offer up to 5 hours of wireless listening on a single charge, and you can get a good 3 hours of use out of a single 15-minute charge if you’re in a hurry. That kind of super quick boost charging is great for those times you find your AirPods are dead, but are about to head out the door. It also means that if you keep your AirPods plugged in between sessions, you’re never going to fall far before 100% charge. Amazingly easy to use, Air Pods combine intelligent design with breakthrough technology and crystal clear sound. We’re huge fans of AirPods, just like everyone else, and if you haven’t enjoyed the truly wireless world that they make available then now is the time to pick up a pair while they’re cheap. We’ve never come across anyone who has regretted buying their AirPods! Great for audiophiles!! There are way better option and wired has always been better. They were already that price…. From $149.99………..hahahah that’s a great deal…..